Real Rob will be returning in 2019 for season 3 on Netflix around the world. We’ve been keeping track of the upcoming series and this is what we know about the next season of the Rob Schneider comedy so far. If you’ve not seen the comedy, allow us to bring you up to speed. 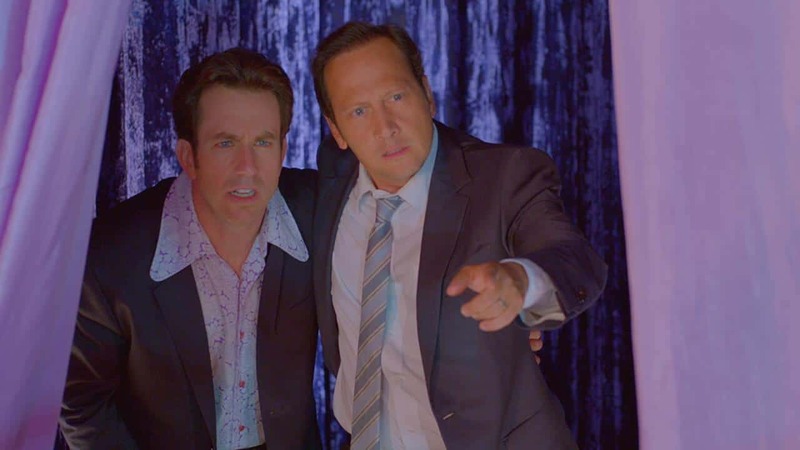 The series is based partially on the real life of Rob Schneider. It’s akin to series like Louis C.K’s show called Louie and Aziz Ansari’s Master of None show. It differs from the aforementioned shows by being a bit more quirky and shot more in a sitcom fashion. Season 1 dropped on Netflix back in December 2015 with the second follow up season dropping on September 2017. Before we begin, most of the news for the upcoming season comes from Twitter and specifically from the show’s main star. Unfortunately, while we were putting this article together, Rob decided to wipe all of his tweets. The reason for the deletion was because of his ongoing problems with how comedians are treated specifically all the controversy surrounding Kevin Hart. Has Real Rob been renewed for season 3? Yes! Real Rob is returning and soon too. We don’t know exactly when season 3 of Real Rob was picked up because the show’s production is handled by Rob Schneider’s own production company rather than Netflix fully. However, on Twitter, the earliest official mention was back in December 2017. Further evidence of the renewal is from an interview conducted in December 2018. Although they didn’t divulge any new details, we did hear about the process that goes into writing the show. Specifically, “My wife and Jamie [Lissow] are the writing partners. They ask me for stories, and I tell them stories, and the next thing I know,”. Who’s returning for season 3? It’s confirmed that the three main stars, Rob Schneider, Patricia Schneider and Jamie Lissow are all returning for season 3. Jamie Lissow tweeted his hopes recently for finally a good ending for Jamie. Both seasons 1 & 2 consisted of eight episodes. It’s probably fair to predict that season 3 will consist of the same. In a recent AMA on Rob Schneider’s Twitter account, he not only confirmed the show is likely to come out in 2019 but that a trailer would be dropping “soon”. Unfortunately, we can’t link or show you the Tweets as Rob Schneider has removed all of his tweets. Based purely on previous release schedules, it would be a safe bet to say that season 3 will likely come in the latter part of 2019 but could come even earlier. What do fans think of season 3 of Real Rob? Even a couple years after the release of season 2, fans are still patiently awaiting season 3. Here are some of the responses we found online. When is real rob season 3 coming out? Season 3, when please? Real Rob is the best. Thank You! @RobSchneider @patriciamaya @JamieLissow. Finished Real Rob season 2. @RobSchneider please tell me there's a season 3?! Is Rob Schnieder’s new sketch-comedy series coming to Netflix? At the start of 2019, Rob announced he was working on a new sketch show to rival the show he arguably made his career start from, SNL. How far the development along is unknown but could be sold to Netflix. Netflix hasn’t really touched sketch comedy since it commissioned W/ Bob & David which released back in 2015. Previous story When will Season 9 of Shameless be on Netflix?